Norton’s co-star and colleague Peter Wright. 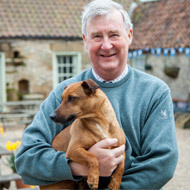 TV vet Julian Norton has left Skeldale Veterinary Centre - the home of ‘James Herriot’ - after it merged with Medivet. The practice, which is based in Thirsk, North Yorkshire, provided the inspiration for popular TV show, All Creatures Great and Small. The series was based on the semi-autobiographical books by James Herriot - real name Alf Wight - who wrote about his experiences as a young rural vet. Wight, who died in 1995, worked at Skeldale for more than 30 years. The practice has recently been brought back into the spotlight through the Channel 5 programme, The Yorkshire Vet, of which Mr Norton is a co-star. According to media reports, Norton has resigned from the practice after it merged with the Medivet chain. He is now working at an independent practice in nearby Boroughbridge. He is quoted by The Times as saying he could not work “in that kind of environment”, adding: “I’m a believer in independent practice and I wanted to carry on the Herriot tradition in an independent way”. “Since Medivet came on board as co-owners of the Skeldale practice with Tim and I, we've been very happy with how things are running and how well the team have settled in with our new partner. We considered a number of offers from several buyers but chose Medivet because of their ethos around quality and care, which is very consistent with our own culture." He added: “We are, of course, disappointed to see Julian leave but completely respect his decision to do so”. 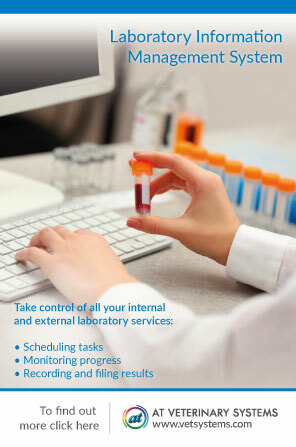 Medivet is comprised of a network of 200 practices, in addition to 10 ‘hubs’ around the UK that are open 24/7. In a statement announcing the merger, the practice said the move would ‘support the long-term growth and development of Skeldale for the benefit of its staff and clients, and protect its heritage. ‘Peter and Tim will be remaining as partners in Skeldale, in partnership with Medivet. Julian will be leaving in order to pursue other interests, both in veterinary medicine and media, and he wishes Skeldale the best of success for the future. A spokesman for Daisybeck Studios, which produces The Yorkshire Vet, said: “Daisybeck Studios can confirm that it has been commissioned by Channel 5 to produce 20 more episodes of The Yorkshire Vet in 2018 and another 20 in 2019. "Production has been underway since last autumn and the first batch of ten episodes will begin this spring. Peter Wright and Julian Norton will continue to be the key vets featured in the programme for the foreseeable future. "Peter and Julian are incredibly popular with the audience, thanks to their warmth and knowledge of treating animals in a mixed practice. We are thrilled to be working with them both on these new series which takes us well into next year”.